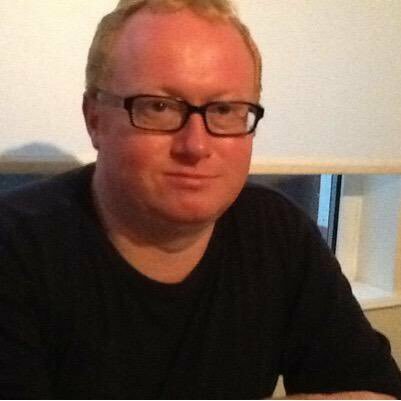 Do YOU want the likes of Luke Akehurst running the Labour Party? Steve Walker is absolutely right in his claim that Labour’s hard-right members are delusional to think offering more of the usual blandness will inspire the electorate. But he’s also right (in his article – click the link at the bottom to read it) to say that the loonies of Labour First will have their way – easily – if nobody turns up to stop them. If you support Labour and care about the future of the UK, then you need to join the party (if you haven’t already), turn up to meetings and take part. I am taking a motion to my own Constituency Labour Party meeting on Saturday. It calls for controversial rule changes to be annulled because voting rules were broken when they were passed at September’s Labour conference. I am also taking as many members of my branch to that meeting as possible, because I know my motion will be opposed. Whoever has the greater number of supporters will win. That’s how democracy works. Democracy doesn’t work when people don’t turn up to have their say and pass their vote. That’s how the likes of Labour First get to win. Luke Akehurst, national secretary of ‘Labour First’, the hard-right entryists desperate to drag the party back to Blairism, today published an article on the LabourList website titled “As centrists we must find the people and policies to inspire – and reject the politics of electoral suicide“. It shows Akehurst’s tenuous (at best) relationship with facts, puts beyond doubt the delusional quality permeating the thinking of the quasi-Tory wing of the Labour party – and maps out clearly the steps that those who support Jeremy Corbyn and the new vision and politics he exemplifies need to take. He aspires to something that can never happen. The idea that what he would term ‘centrist’ and the rest of us would call mediocre and ‘Tory-lite’ policies can ‘inspire’ anyone after years of ‘they’re all the same’ politics is self-evident foolishness. The idea that things like ‘message discipline’ or mere organisational competence (if they can still even lay claim to that after the multiple failures this summer) with no substance will inspire a mass of new joiners is simply ludicrous. But that’s all they’ve got. Akehurst and those like him think that ‘electability’ means reflecting back at people the way they already think and feel. But even if he’s correct (and I don’t think he is), when things are as dire as they are – when racism, xenophobia, despair, insecurity, small-mindedness and self-centredness are all a lot of people know, because that’s what is rammed down their throats by a corrupt Establishment and the media that propagate their message – you don’t want ‘more of the same’ reflected back at you. You want – you’re desperate for, you crave – change. ‘More of the same’, or a ‘lite’ version of it – does not, cannot inspire. People need change – and hope of change. That things can be different, better – for them and especially for their children. The left’s way forward appears not to be palatable to the electorate. That’s a SEVENTEEN POINT lead for the Conservatives! This poll is extraordinary for reasons recorded by the pollster. It is of concern to Labour, but it relates to opinions formed before Parliament re-convened. Let’s see how things pan out. And bear in mind that Labour is enjoying large increases in the vote at local elections around the country. Here are three much more practical things to do rather than using up all your own local political capital with the vital undecided activists in your CLP which I assume you want to win over firmly to your thinking through a patient display of unselfish activism in the coming years. That’s what I did when I was a young person in a minority in my CLP in the 80’s: 3 times runner up as conference delegate in 1982, 83 and 84 before getting it in 1985 and then getting elected as a 23 year old Councillor in 1986 and between 1990 and 1992 being taken to court by my own council for non-payment of the Poll tax 3 times! Hope those practical suggestions are helpful to you and save you time rather than focusing on motions that are not really worth it at this stage when there is much more patient activity to be done as it just sends a message of being politically frustrated to opponents which it is good not to do as ‘moving on’ makes it easier to win others over in future. I supported Corbyn, joined the party, paid money several times and that is without including the 3 lifelong union pensions of myself and dad that they thieved, only for Labour to purge me and oust me and ban me from being a member for 5 years. and just for raising disability hate, sexism and support for violence and sexual assault of women and children, racism, and being corrupt, supporting violence and engaging in cronyism and backhanders from local business, launderers and organised crime. They dont actually want anyone in who is decent or working class.